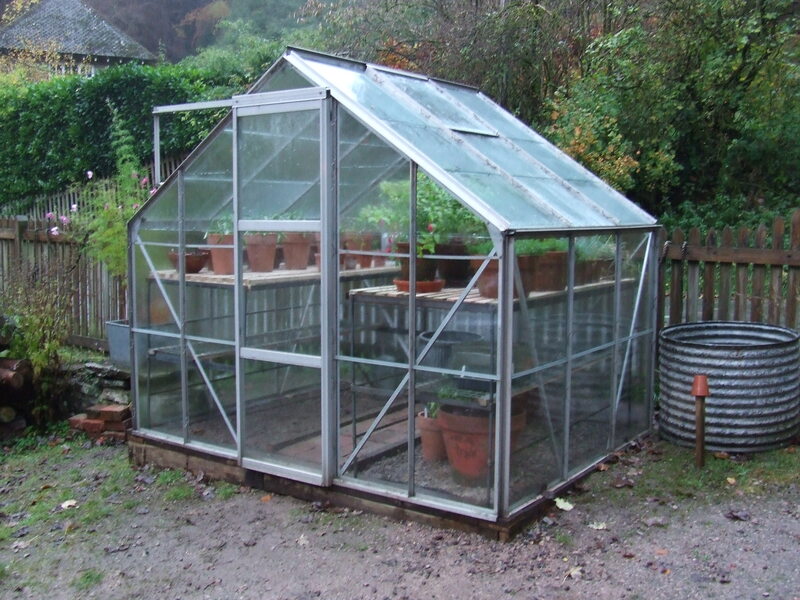 How long does it take to remove and reassemble an 8′ x 6′ greenhouse? In theory it should take a day or two, but 11 days?? 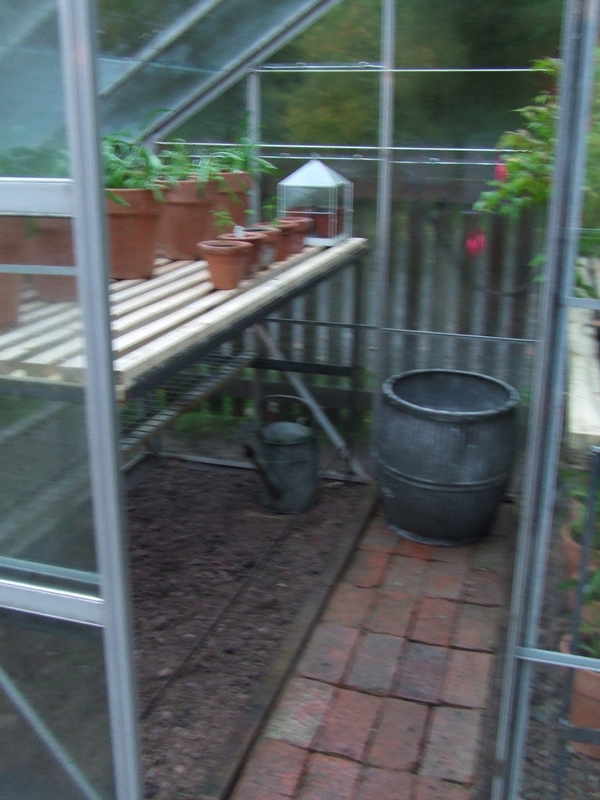 Our good friends Teeny and Di offered us their old greenhouse which they never used as long as we took it down and removed it. That was the easy part and took about an afternoon. I ordered the glazing beads on Monday night and they should have been delivered on the Thursday, but dear old ParcelForce were at their worst and after three exasperating phone calls we finally got them on the following Monday. Hopefully these will be resolved shortly and I’ll be able to sit back and admire it! PS Chris at Gardencraft in north Wales (gcraft.co.uk) has just identified it as an old Paragon, not manufactured since 1970!! He has the parts I need! !